If you are in charge of life at home and you’re pulling off a career role, the superpower of delegation (which is often underestimated) is truly yours to own. Trying to pull off the daily feat of home life, school life, sports life, social life and career life is hard. I have often pulled a three-hour parenting shift of cooking, cleaning, dressing, homework, organising, packing, teeth brushing and dog walking ALL before I’ve even arrived at work! No-one should do it all on their own. I mean Batman’s got Robin. The Lone Ranger has Tonto and Iron Man has two helpers – Happy Hogan and Pepper Potts! So why should we do it alone? Even as a two-person team of parents, it’s hard. Especially if both parents work – there are sadly only 24 hours in a day. There is a lot of work to be done at home, but the main part behind the delegation is not doing but thinking. Incidentally, this concentrated load of brainpower even has a name: “the mental load”. I myself have a very nice husband at home, he can be left alone with the four kids and a golden retriever, without detailed instructions, and yet – I’m the Family Manager. With me, the threads come together. The Family Manager thinks constantly – we plan, organise, check options, communicate, delegate and negotiate. This thinking can never be switched off, and therefore you are never completely relaxed. There is always something on the checklist that needs to be done. As a working mother I am constantly wishing that I could be in (at least) two places at once, especially when the dog has to go to the vet on the same morning of the school play and that work proposal is due. It costs approx. $2M to clone a human (I googled), which is most likely not within most family budgets (another task the Family Manager oversees)….which leads me to my point. I am a big fan of delegating ‘aka’ outsourcing. If someone can do it better or faster than me? Great, let them do it! If I try to do it all, I become over-stressed and not a fun mum or wife! Delegating household tasks allows me to spend quality time with my children instead of frantically trying to handle the housework whilst helping with homework. I personally outsource the cleaning, ironing, pool clean, dog wash, gardening and of course 99.9% of shopping, which is online and delivered! (Big shout out to Who Gives A Crap – they deliver our toilet paper each month and fund the building of toilets in third world countries). Of course, not everything can be outsourced. You can’t hire someone to take that spin class or sneak in an hour of yoga. But you can have your dinner delivered while you work up a sweat. Juggling a career, raising a family and seeing friends doesn’t leave us with much spare time and unfortunately sacrifices need to be made. But taking time for yourself is something that you should never sacrifice. 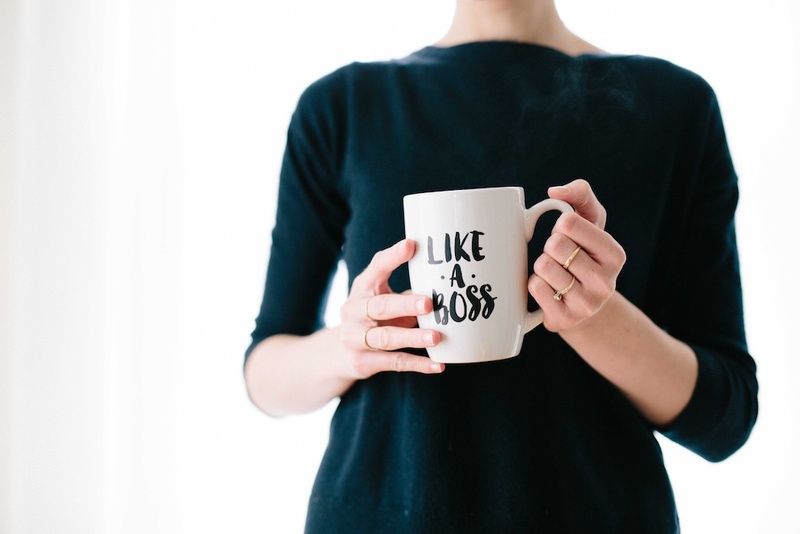 So, regardless of whether you’re on maternity leave, back at work or a full-time stay at home parent, delegating will help you shift your energy to where it’s needed most. Creating a list of all the jobs that you don’t enjoy is a good place to start but also prioritising the more time consuming tasks. Once you have your list, it’s important to prioritise the essential and non-essential tasks. Now that you’ve prioritised your list, make a note of which tasks you’ll need to get done regularly. An example is house cleaning and ironing. It might not work with your budget to get help on a weekly basis, but alternatively, fortnightly or monthly timing might work for you. Being a parent is the ultimate exercise in selflessness, but when you’ve lost all sense of what you enjoy, it’s time to call in reinforcements. Outsourcing the house cleaning or gardening can make anyone’s life a little bit easier. For me, coming home to a clean a home can turn even the worst day into the most wonderful. My tip – have your house cleaned on Fridays and make it take-out night (delivered of course). Then it’s just you and a glass of wine, sitting amongst a calm and happy family surrounded by smell of disinfectant clean floors. Perfect start to the weekend. Rachael is a HR Consultant and Learning professional with diversified experience, committed to working with clients in a holistic way. She loves to empower others to create impact by making a meaningful difference in the workplace and is able to provide the full circle of human resource services. Her passion lies in partnering with people to provide lasting solutions, whilst maintaining a strong focus on culture and community. This blog is TERRIFIC!! I will for sure be following and catching your tips. For too many years I’ve done everything at home.. well., most things. I’m so ready to outsource all the yukky backbreaking time consuming home tasks.. and focus on family time, Jesus and my own health.